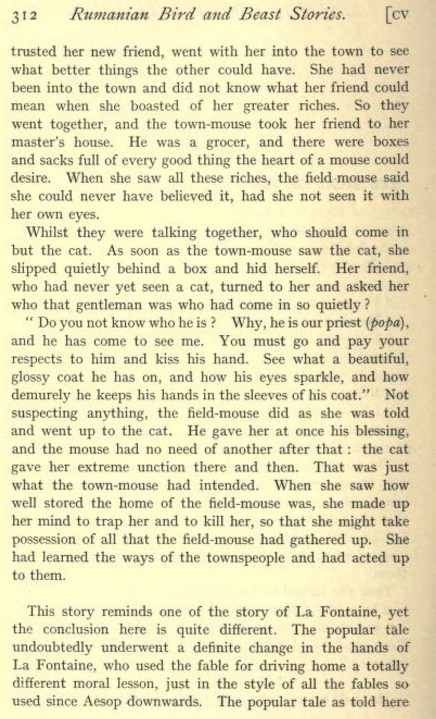 I found this version in the proceedings of a 19th-century British folklore society. It's one of the most morbid and cynical variants I have come across. There are other versions where one or both mice die (see (53), the variant where the mice travel to the Indies, which is also in this exhibit). However, this is the only variant I have come across where the town mouse deliberately murders the country mouse. 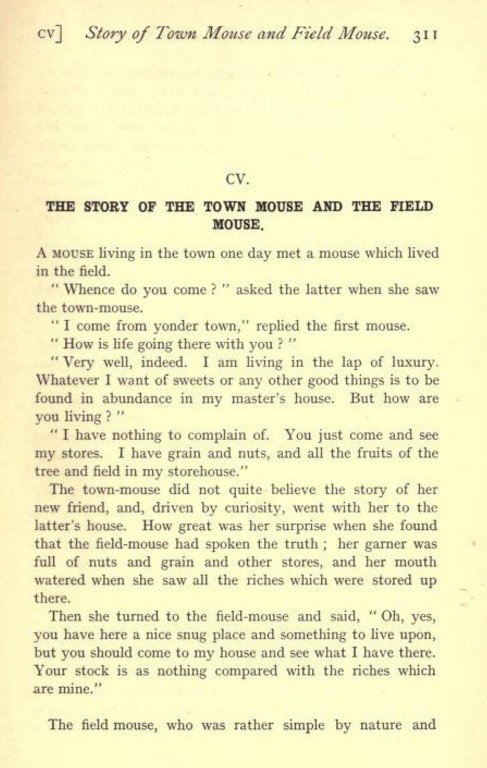 In this variant, the town mouse pays a visit to the country mouse and is envious of his vast stores of food. Concocting a clever plan, he tells his country friend that life is better in the city, and invites him to come by some time. The country mouse agrees, and upon arriving in the city, meets a cat. He has no idea what a cat is, and is summarily eaten. The moral seems to be something along the lines of "Don't trust townsfolk." 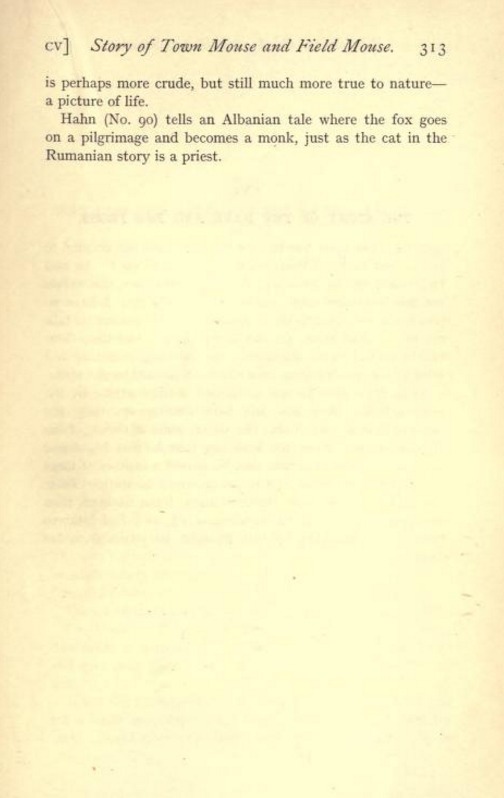 There are a few unusual details that might make more sense in the context of Romanian folklore more generally: the town mouse tricks the country mouse into being eaten by saying that the cat is a priest, and "You must go and pay your respects to him and kiss his hand. See what a beautiful glossy coat he has on, and how his eyes sparkle, and how demurely he keeps his hands in the sleeves of his coat", a rather interesting analogy for the behavior of a lounging cat.